Sibos 2016 will be held in Geneva on 26-29 September. 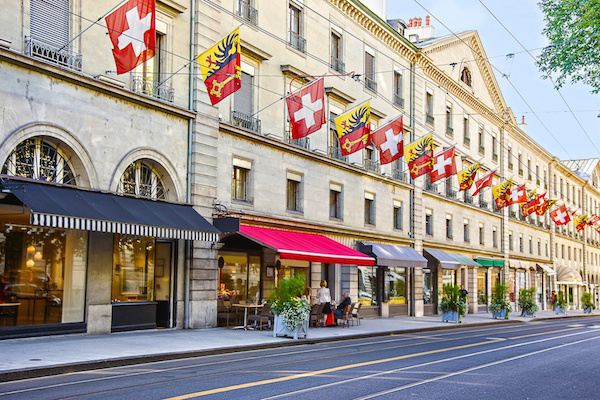 What to do in the city, where to eat and drink, and, importantly, how to get to and from the airport and around Geneva – Banking Technology has it all summed up for you. Useful links, contact details and to-the-point reviews. See you there! For many Sibos veterans, this year will be their third Geneva Sibos. The city isn’t exactly a byword for entertainment: some may say it is a bit dull. This may be hard to believe given it hosts a large number of international organisations including United Nations agencies and the headquarters of the International Committee of the Red Cross and they Boy Scouts. All those diplomats and civil servants have, seemingly, failed to create a vibrant atmosphere. 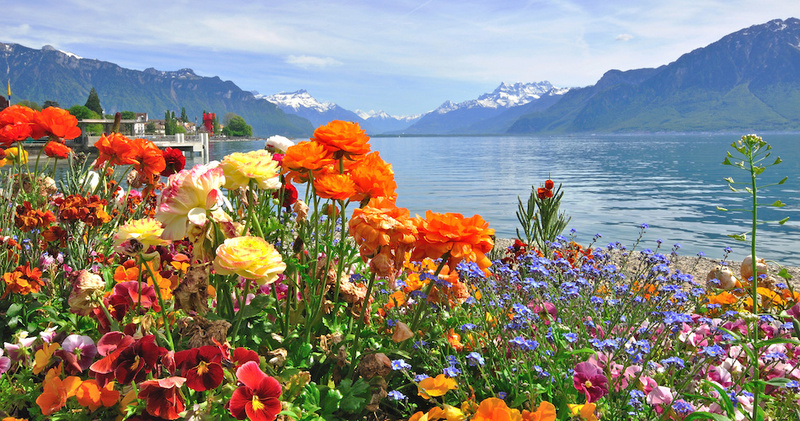 Situated on the shores of Lake Geneva, the city has a population of just fewer than 490,000. 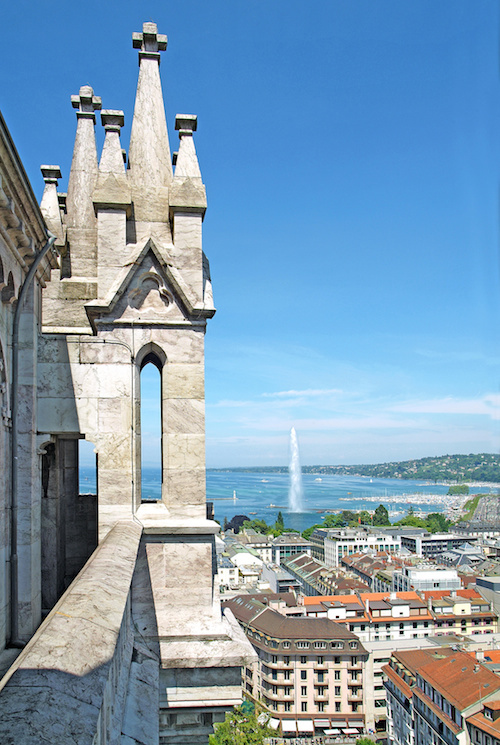 In 2015 Geneva was ranked eighth in the Mercer Quality of Living Survey, lagging other European hotspots such as Vienna, Zurich, Dusseldorf and Frankfurt. To be fair, recreation is only one of ten criteria that inform the Mercer survey, others including such fun concepts as political and social environment, economic environment and natural environment. But what has Geneva to offer the discerning Sibos delegate who isn’t planning to relocate? Those who are lactose intolerant, vegetarian or indeed vegan may wish to look away now. Geneva is at the predominantly French end of Switzerland and salty, creamy rich food dominates. There are 11 restaurants in the city with one Michelin star and two with two stars. Located outside the city centre is the two Michelin star rated Domaine de Châteauvieux, Chemin de Châteauvieux 16, 1242 Satigny (+41227531511, info@chateauvieux.ch, www.chateauvieux.ch). The restaurant is set amid parkland and also features accommodation (for those too weighed down by their meal to make it back into the city). The bad news is that the restaurant is open only for lunch. Also outside the city is the other two-star establishment Le Floris, Route d’Hermance 287, 1247 Anières (+41227512020, resa@lefloris.com, www.lefloris.com). This is a pretty restaurant with lake views and is a 15 minute drive from the city centre. It is closed on Sundays and Mondays. Unless you book early for the two-star restaurants you may have to slum it and settle for a mere one star joint. Think of it as doing your bit for austerity. The following are just a few of the 11 restaurants that have garnered a Michelin star. La Bottega, Grand Rue 3, 1204 Genève (+41 227361000, info@labottegatrattoria.com, www.labottegatrattoria.com). Like all modern upmarket restaurants, La Bottega has a “mission”: “La Bottega’s objective is to provide an innovative visual and culinary experience. Absolute-quality products and ingredients and impeccably-designed spaces, informal yet lovingly-fashioned down to the last detail: these are the fundamental tenets of our philosophy”. This mission, with its irritating misuse of hyphens, translates into dishes such as vitello, pera e vino and agnello, carota e arance. There are also tasting menus, ranging in price from CHF 65-110 ($68-104). Vertig’O (anyone who has or does suffer from actual vertigo will know it is not something you’d want to experience anywhere, let alone over a meal) is at Quai du Mont-Blanc 11 (+41 229096073). Located in the Hotel de la Paix, the restaurant’s menu offers seasonal dishes that promise a “detailed and decadent French meal with a subtle Mediterranean touch”. Make of that what you will, but dinner bookings are advisable. Nearby Vertig’O is Le Chat Botté, Quai du Mont-Blanc 13 (+41 227166920, fb@beau-rivage.ch, www.beau-rivage.ch). This is also a hotel restaurant, located in the Beau Rivage. Diners can expect dishes such as black cod, horseradish and miso sauce, veal shank with citrus fruits, New Zealand spinach (who knew?) and cashew nuts. There is also a truffle tasting option. If you don’t mind trekking cross-country (literally) for a one star meal, try Le Refuge des Gourmets in the French border town of Machilly at 90 route des Framboises (+33 450435387, chanove@refugedesgourmets.com, www.refugedesgourmets.com). The menus are devised around a seasonal ingredient (such as game, lobster or black truffles). The restaurant also features a charming terrace that looks out on to the surrounding countryside. Clearly, not all Sibos delegates are on generous expense accounts. What is available for the delegate with a more modest wallet? Thankfully, we have the Michelin Guide for the proletariat, Trip Advisor. If you can overlook the poor spelling, grammar and insistence on providing a back story, the site provides plenty of suggestions. Bistrot du Boeuf Rouge at 17 Rue Alfred-Vincent rates highly (+41 227327537, www.boeufrouge.ch). The decor is art nouveau style and seating includes booths. As is obvious from its name, the restaurant focuses on beef dishes, but there are other options, including fish and a pleasingly long dessert menu. For many Sibos delegates, it would be difficult to disagree with the motto of Bistro de La Tour at Boulevard de la Tour 2 (+41 223219766, www.bistrodelatour.ch): “Life is too short to drink bad wine”. There is a very extensive list of French, Italian and Swiss wines. The food menu, however, is more limited. Dishes include Scottish salmon with miso sauce, wild sea bass with chervil, free farmed pork rib and dry aged Swiss beef (which is what many people look like after a week out on the tiles at Sibos). Located near the Cathedral Saint-Pierre Geneve, Les Amures is at 1 Rue du Puits-Saint-Pierre (+41 223103442, www.hotel-les-armures.ch). The restaurant claims to be the oldest in the city and serves typical Swiss fare, including raclette, a range of fondues, Swiss sausage and perch. You can rarely go wrong with an Italian, so Luigia at rue Adrien Lachenal 24a is worth checking out (+41 228401515, www.luigia.ch). This is a traditional Neapolitan restaurant and serves a wide range of pizzas along with other Italian favourites. Apparently, in recent years Geneva has developed something of a “cocktail culture” and there is an increasing number of bars open until 2am. This will come as good news to the night owls among Sibos goers. Bars include Les Brasseurs, which is an “brasserie artisanale”. Anything with artisan in its title is generally fairly pricey, which I think we can all agree means artisan is used here ironically. The brasserie serves food as well as yards of home-made brew. It is opposite the Cornavin train station at Place Cornavin. Between rue de Lausanne and the lakeside (heading East) is Les Pâquis district, which hosts a number of bars, restaurants and even a small red light district. Locals apparently like to visit Les 5 Portes, le Cafe des Arts and Le Scandale. In the same area is Grand Duke Pub, which plays music from the 1970s and broadcasts sporting events. As has become traditional at Sibos (although less so since the demise of the Celtic Tiger that was Ireland) most of the craic will be centred on Mulligan’s pub at 14 rue de Grenus. There is an alternative – Charly O’Neills Irish Pub. They are both Irish pubs, so no description necessary. Nearby is Shakers, which is a magnet for British visitors and residents. The old town in Geneva has plenty of bars include La Clémence, Demi-Lune, Let Petit Palace and Antidote. On arrival at the airport (which is four kilometres from the city centre), passengers will receive a free Unireso “all Geneva” ticket, which is valid for 80 minutes on the Unireso network of trams and buses. The buses run every eight to 15 minutes during peak hours. The bus stop is on the departure level in front of the train station. The train into the city centre takes seven minutes. A taxi into the city centre should cost between CHF 35-45 ($36.5-47). However, Sibos coaches will also operate from the airport to the main hotels from 6am until 11pm on the Sunday before Sibos. Palexpo is served by three bus or tram lines: line 5, 28 and Y. The city centre is about 15 minutes away. There is also a regular train service between the airport and Palexpo, a trip that takes about ten minutes. A transport app can be downloaded from here on to smart phones, which will show timetables and routes. Designed to meet the needs of migrant workers.